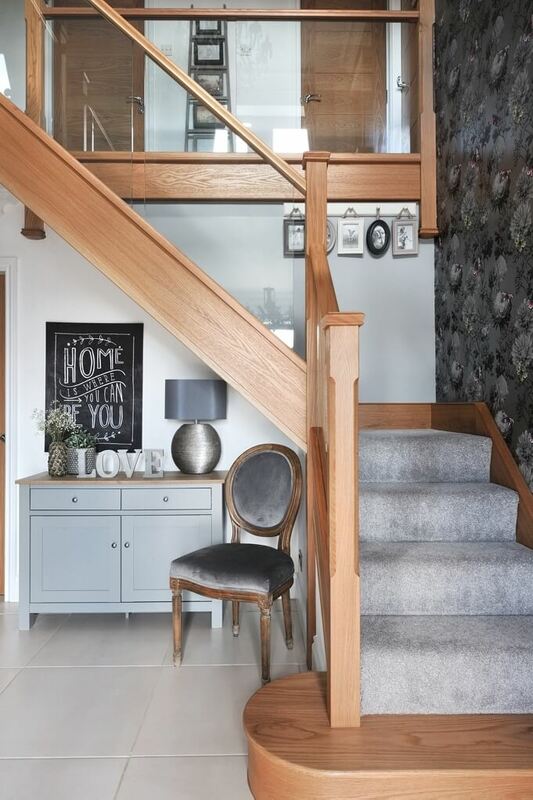 All of the wood in the house was previously mahogany so it was essential to opt for a lighter, natural oak staircase to achieve the contemporary look that Nicola envisioned. 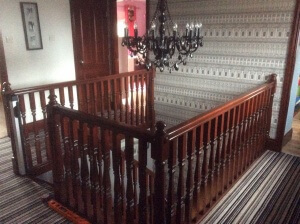 The stylish patterned wallpaper adds a decorative touch to the staircase and helps to tie in the colour scheme. 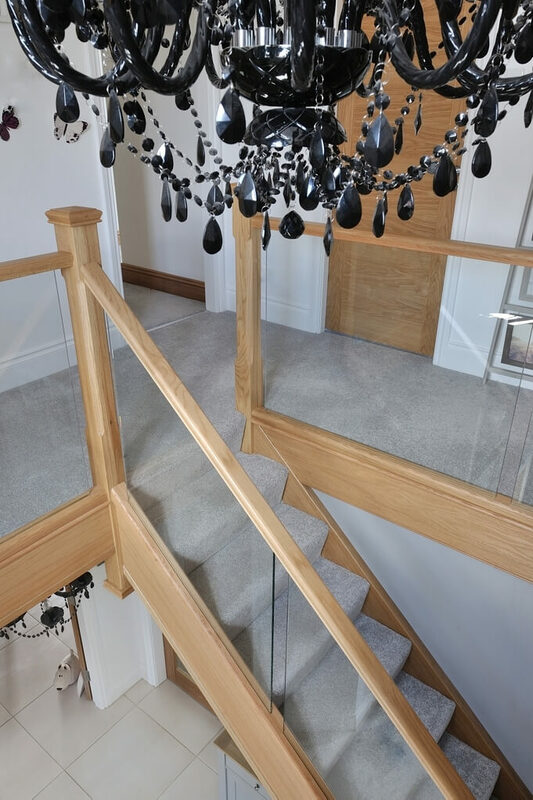 We used a modern mix of glass and natural oak with carpeted treads that sweep around the first-floor landing. This allowed us to create a contemporary style staircase with half landing. 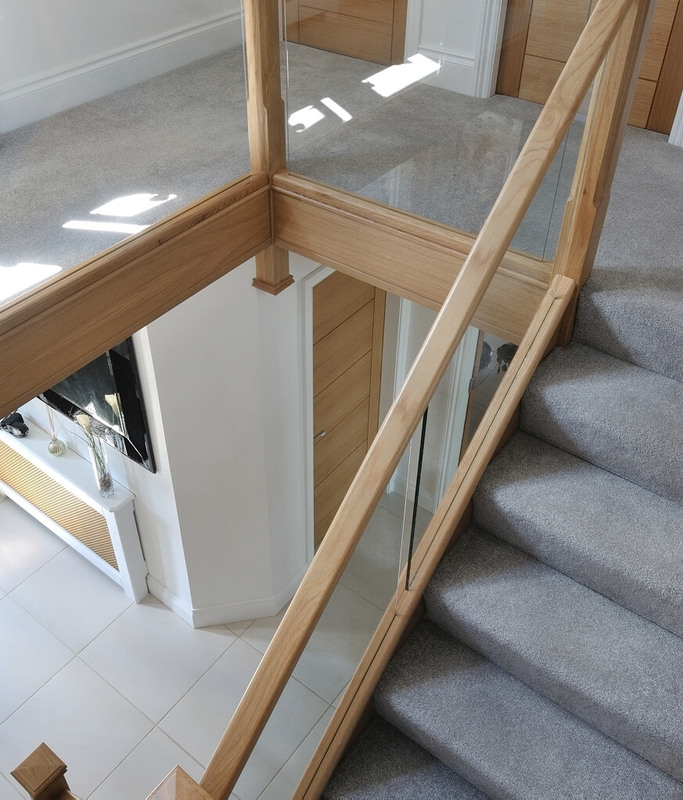 To add to the modern finish, glass is inset into the wooden staircase frame for a streamlined look. An alternative to using more traditional spindles.